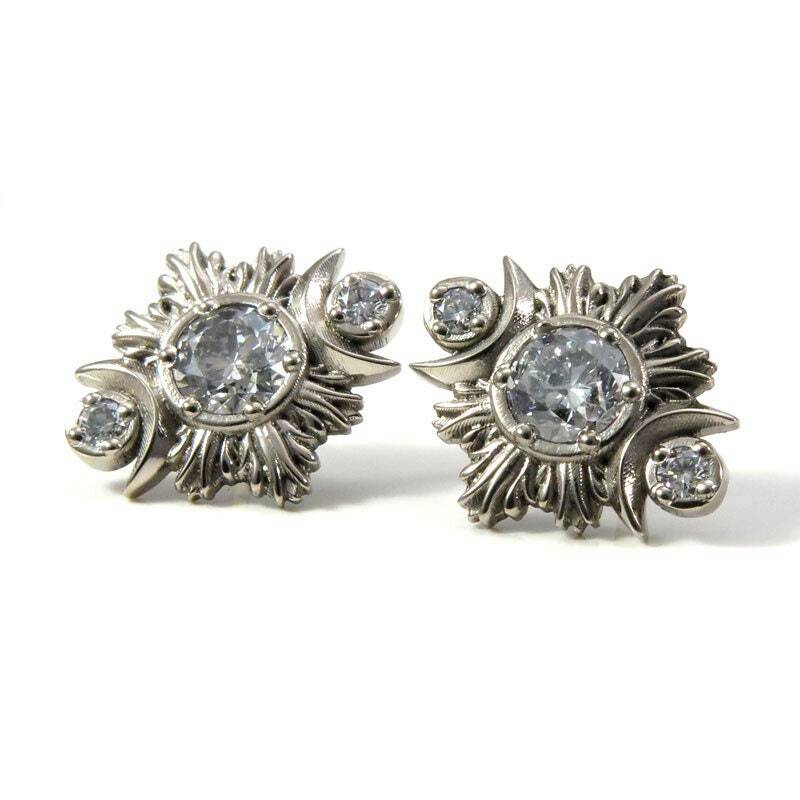 This earrings are a celestial twist on the classic diamond post earrings. 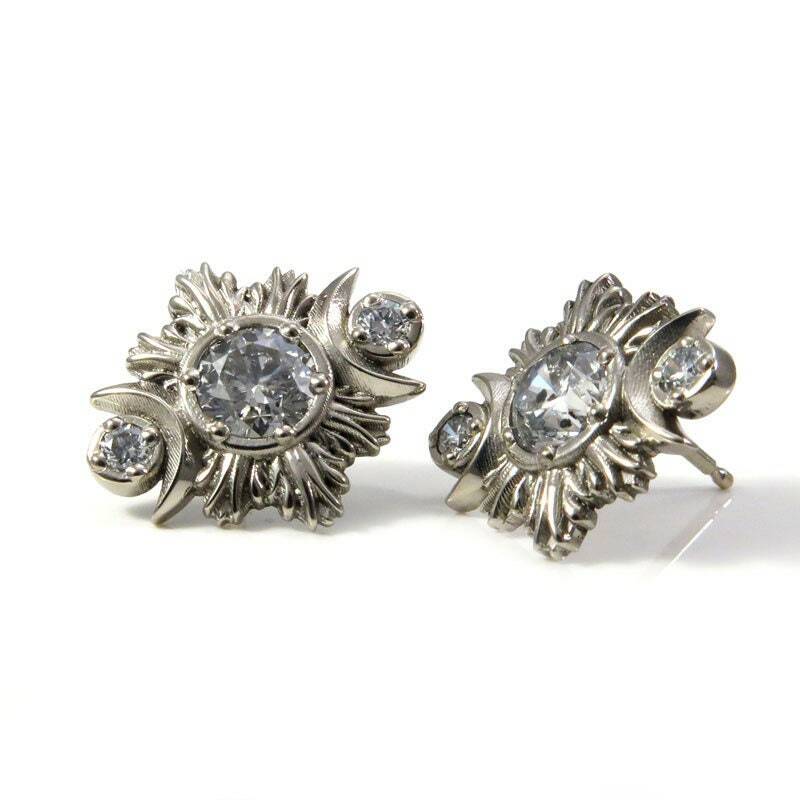 The center diamonds are a really nice pair of Salt & Pepper diamonds that have a combined weight of .96 carats. 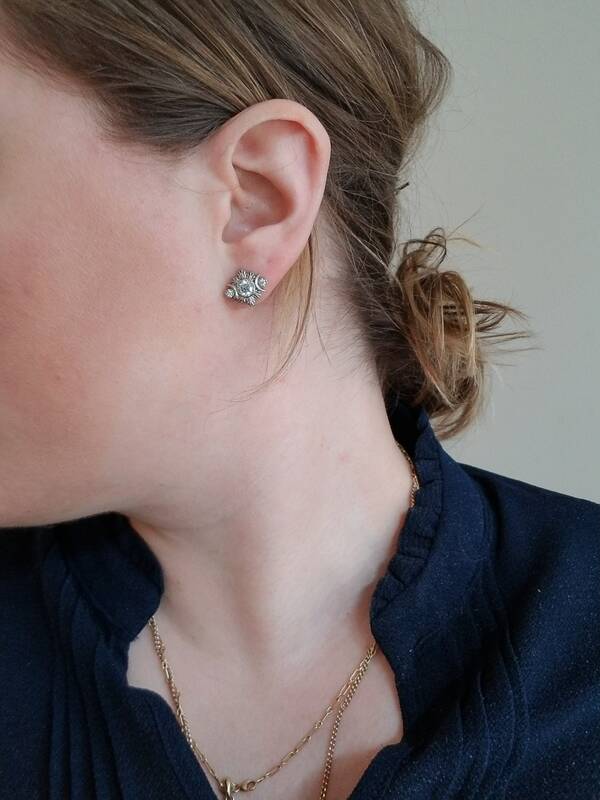 The side diamonds are VS white diamonds and have a combined weight of .12 carats. 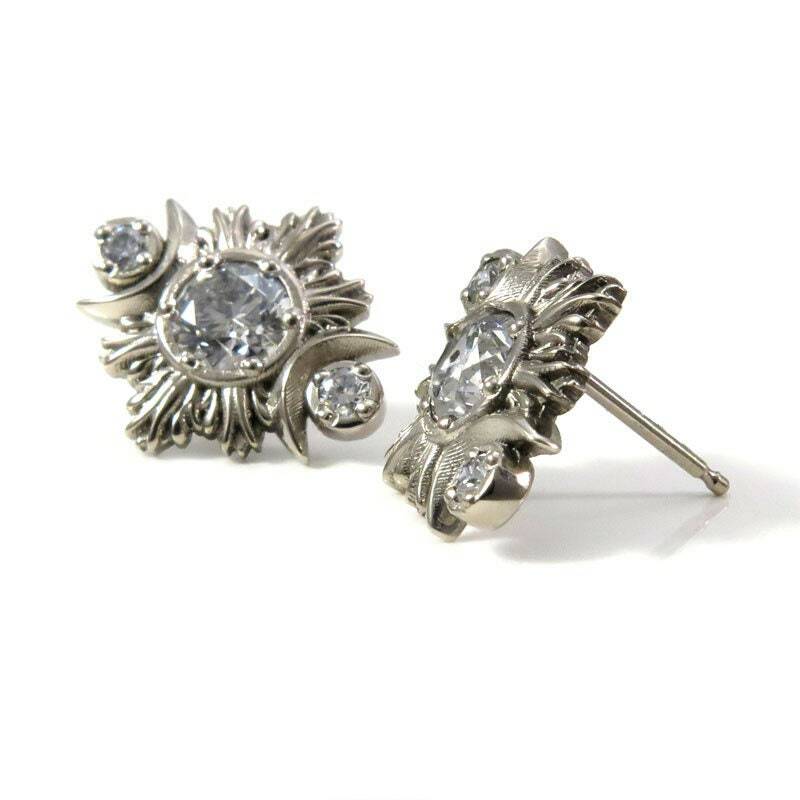 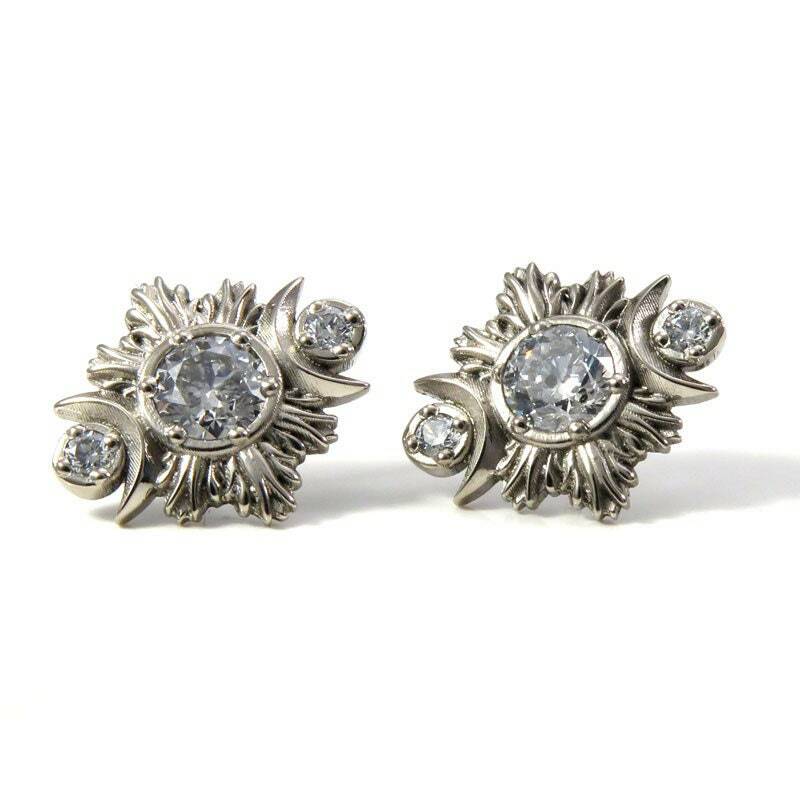 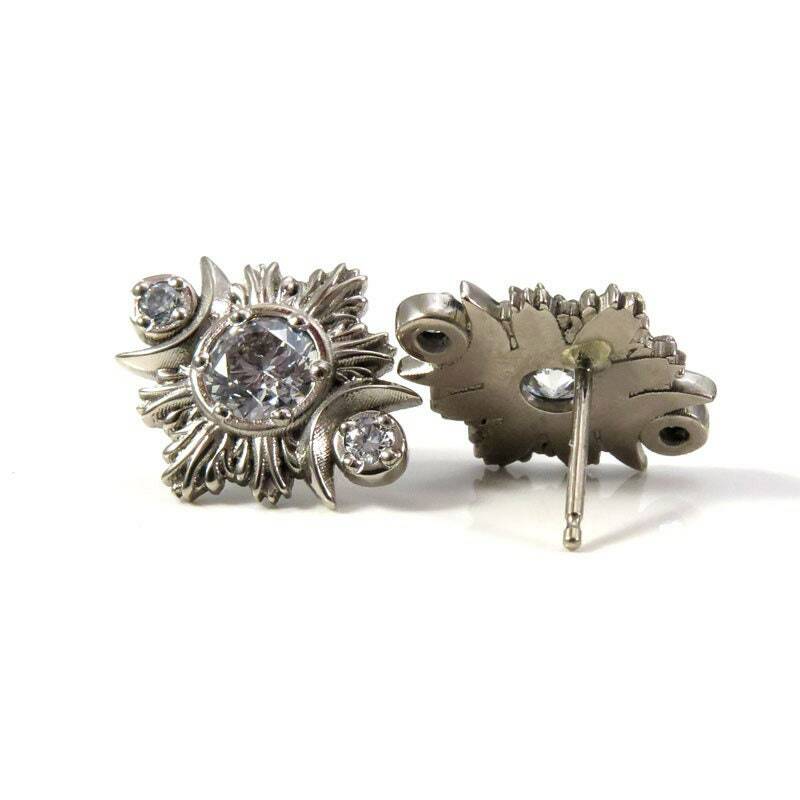 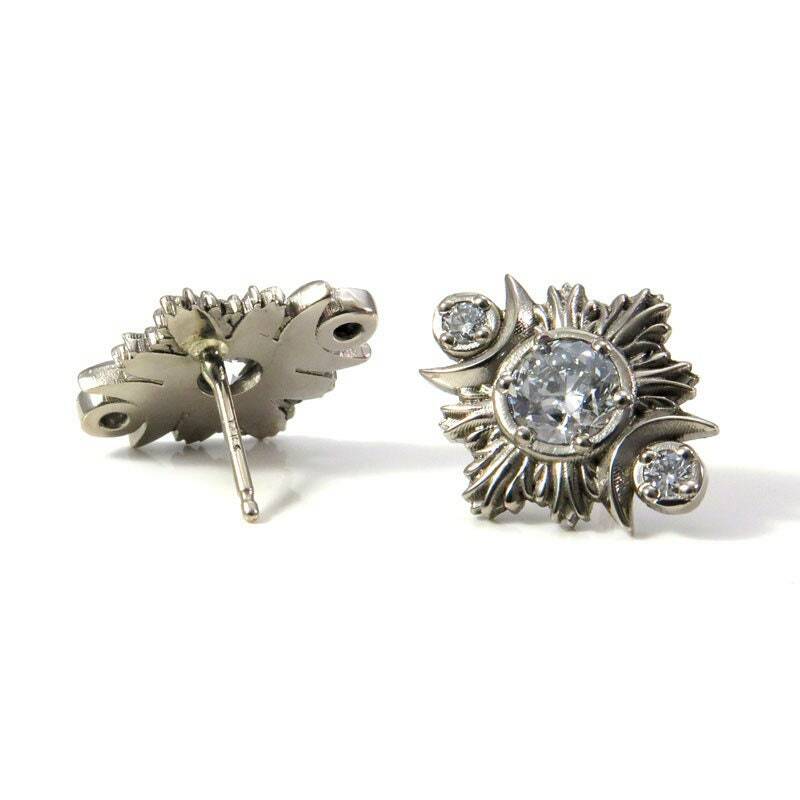 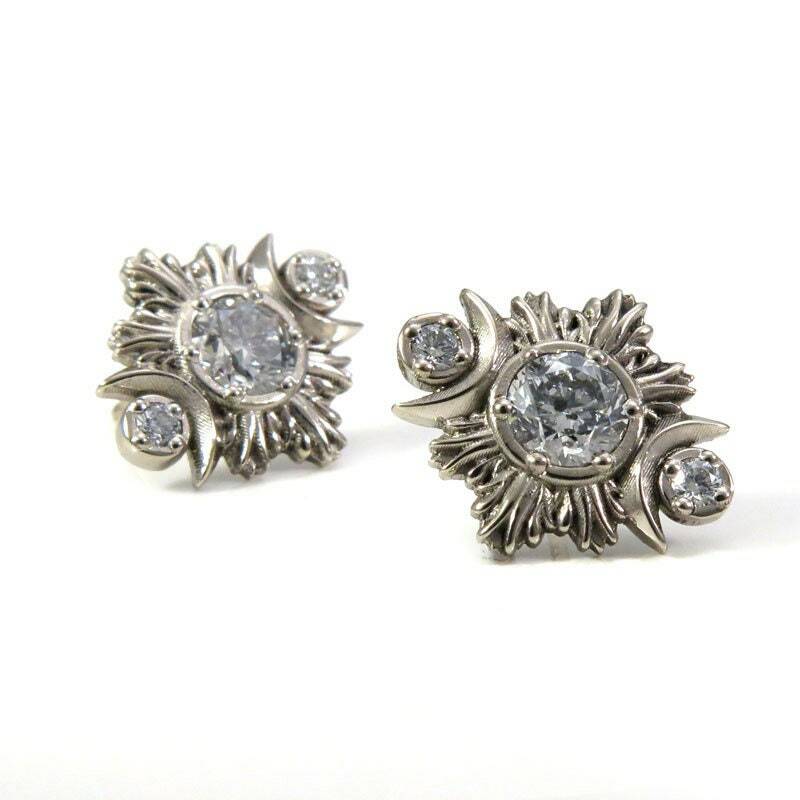 The earrings, backs and posts are 14k Palladium white gold which is nickel free.